With the increased features of the advanced technologies, a lot of innovative products and tools are introduced in the market for the mobile phones. In such a way, the wireless headphones are the latest arrival that gives you the enduring effects of enjoying your favorite music. With the help of these kinds of the headphones, you can also use it for some other devices like TV too. Yes, if you love to watch and listen to your favorite TV programs at high volume without bothering anyone, you can choose to go with the wireless headphones. Of course, you can also connect it to the televisions to enjoy your experience. Let’s see how to connect wireless headphone to a tv in the easiest manner. Adding the wireless headphones to your HDTV can be the fantastic way to watch the TV as just the volume you want without disturbing anyone else in the process. In fact, this is highly popular among the gamers. Yes, the gamers love to enjoy their gameplay by using the headphones with the television. As well as, it is also ideal for the people who like to watch the television at late night without interfering others. In fact, wireless headphones work by connecting or coupling with the device you want to use through the infrared or the radio signals. Most of the devices are using Bluetooth technology to make connecting easier for the users. 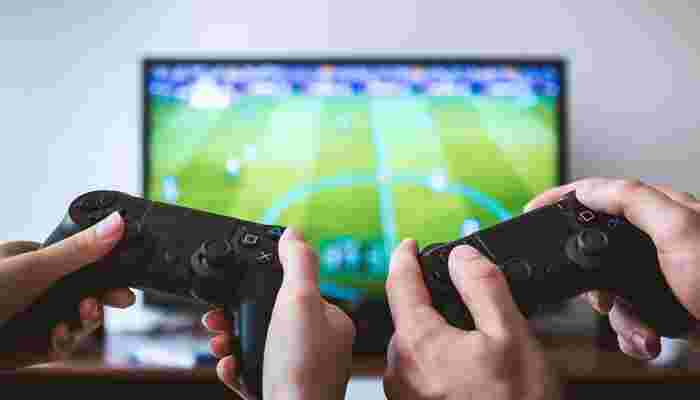 Before you are going to connect to the wireless television, you should familiarize yourself with the TV’s analog audio output. There are two kinds of the audio outputs available on TV and they are headphone jack and RCA phono. Let’s see the ways for connecting wireless headphones through the headphone jack. • First and foremost, you have to connect one end of the audio cable to the headphone jack that is located on the rear of your television. • Then, you need to attach the other end of the audio wire to the audio in the hack of the wireless headphone transmitter. • After that, you can join the AC power adapter of the transmitter into the power adapter jack. • Now, you have to plug in the transmitter in an AC outlet. • Adjust the TV volume as per your preference. • Finally, you need to ensure whether the wireless headphone is turned on. Then, you can adjust the volume to your desired level. Just like adding the headphones through the headphones jack, it is also possible to connect the headphones through the RCA jack too. Of course, there are different kinds of the online sites that are also available for giving you the details for connecting the headphones in the easiest manner. With the Bluetooth or wireless headphones, you can get enjoyed the wonderful music as you like. Of course, you can see how to connect wireless headphone to TV easily with the help of the available accessories and you can further search the internet to know more details.